The current plan for Ronda Rousey's WWE debut at WrestleMania looks to be a tag team match against Stephanie McMahon & Triple H.
There had been rumors all week regarding the match the company had tried to put together for WrestleMania 31 with Rousey & Dwayne "The Rock" Johnson against Stephanie & Triple H. It is unknown whether that match can be put together. Johnson hasn't been able to wrestle a significant match due to insurance reasons regarding movies he has agreed to do that have kept him from wrestling at last few WrestleMania shows, aside from the few second match with Erick Rowan in 2016. 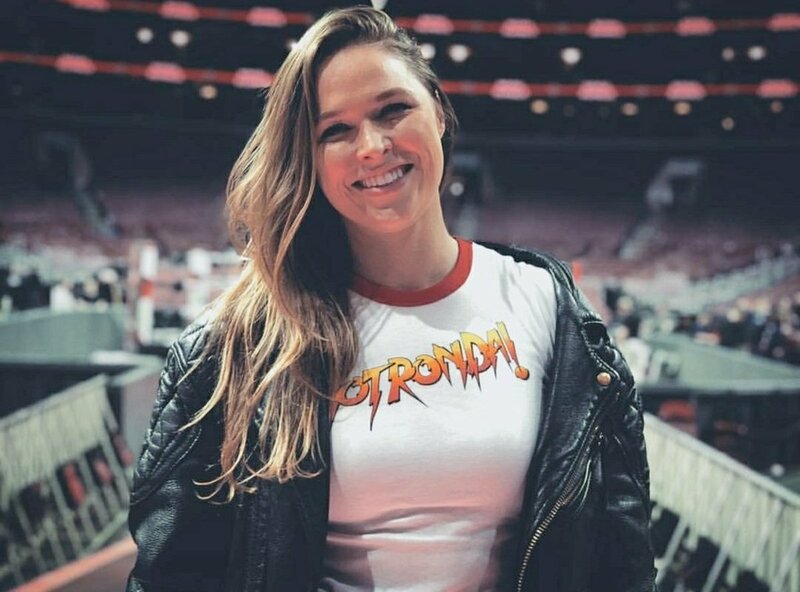 The announcement of Rousey's signing, which had been known for some time since she had been training since last summer for pro wrestling, is a huge move given the company's television contract is coming due and Rousey is a gigantic mainstream name. Whether or not she has long-term drawing potential past the curiosity of some early matches, her being part of the roster with her name value as a woman's star should increase the value of the company's programming since they have announced she will be there as a full-timer for several years.